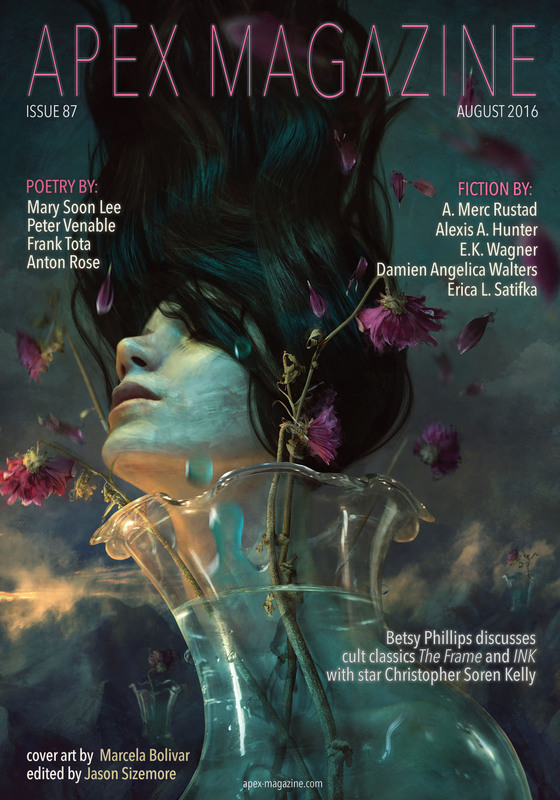 "The Gentleman of Chaos," by A. Merc Rustad, appeared in the August 2016 issue of Apex Magazine (Issue 87), published August 2, 2016. Pro: This is the story of how Vessai became the Gentleman of Chaos. It's a clever angle that the collar bound a real person, not the identity the king forged. It's unclear whether Vessai's transsexualism contributed to the failure of the curse, though. Con: There are a number of questions and improbabilities. Was someone hiring the Gentleman of Chaos, or did he kill for his own reasons? Why would anyone think a nine-year-old girl would ever make a decent bodyguard? How could She be effective when She was pregnant? It's hard to believe a king would tell a 12-year-old he'd already decided not to let him rule, nor that such a child would so easily slay his father.